On October 12, 2017, AASU hosted an anime viewing party in the Student Center Theater! Members voted on which programs they wanted to watch and then came out to enjoy some chill time with their AASU brothers and sisters. Remember the good ol times when all you had to worry about was deciding which awesome 90s cartoon you'd be watching when you got home from school? GT AASU provided its members with a Blast to the Past! We rented out the Student Center Theater, indulged pizza and popcorn, and relived our childhood memories with episodes of Hey Arnold, SpongeBob, and Rugrats. It was a nice way to de-stress and prepare for upcoming final exams. GT AASU and Nu Beta Sigmas present: Lip Sync Battle! On April 6, 2016, AASU partnered with the Nu Beta Sigmas for a spectacular evening! Several groups gathered together for weeks to practice their moves and showed up to battle it out for a grand prize. There was also a special performance by some outstanding members of the BeyHive. Jokes were made, weaves were snatched, and a great time was had by all. The decision to suspend the GT chapter of the Phi Delta Theta Fraternity (following the racially charged events that happened in August 2015) was appealed after a lengthy legal process and pushback from the fraternity and its supporters. On March 1st, GT President Bud Peterson held a public townhall to speak to the several black GT students who had numerous questions about his decision to lift the suspension. 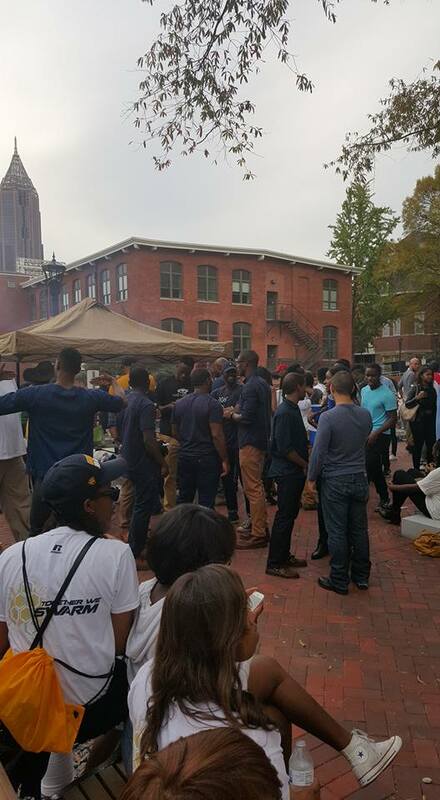 AASU board members secured Harrison Square for the Georgia Tech black community to tailgate in! The Georgia Tech Black Alumni Organization, the Nu Mu chapter of Alpha Phi Alpha, the Lambda Delta chapter of Kappa Alpha Psi, and the Delta Kappa chapter of Omega Psi Phi all joined us in tailgating. There was plenty of delicious food, music, fun, friends, and family. The event was an awesome prelude to Henderson Johnson II winning Mr. Georgia Tech. Henderson is only the 4th black male to win Mr. Georgia Tech. We are very excited and proud to have him represent our community. The biggest, best, and most beautiful Power Hour we've ever had was the Friday before homecoming week! Streetz 94.5 hosted Power Hour! Leading up to the event, they promoted it on the station and then broadcasted live during the event! We brought out small black businesses from around the Atlanta area including Shea Moisture and Beautiful in Every Shade. The African American Male Initiative (AAMI) paid for the pizza. The turn out at the event was phenomenal and all our guests had a great time: there was music, dancing, and giveaways. Recognizing the imminent need to get fit in preparation for the long winter, we decided to host a field day on top of Peters parking deck on Saturday September 19th from 3pm to 6pm. There was a 3-on-3 basketball tournament, four square, jump rope, corn hole, chalking, and dodgeball. Participants lost an average of 6 pounds at the event. AASU is proud to have helped so many people work toward reaching their fitness goals. One Tuesday of every month, AASU will be taking over Skiles Courtyard from 11am to 12pm, in place of an ordinarily scheduled general body meeting. Our first Power Hour, held on September 15th, was lots of fun. Representatives from the A3C music festival came out to give away free swag and tickets. DJ Tafarizard kept the mood fun and funky with the youthful tunes. We bought pizza for guests as well. Everyone had a great time relaxing, chatting, and vibing for an hour. The next Power Hour will be during homecoming week. It's going to be bigger, better, and more exciting. We're looking forward to seeing you there! 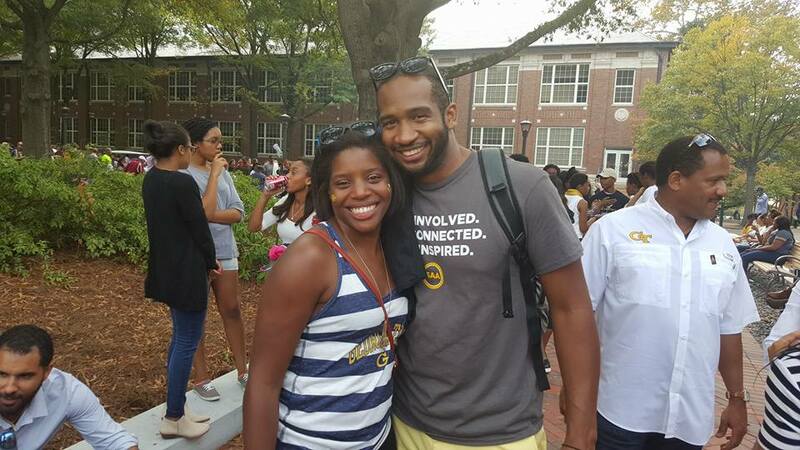 The BSO cookout is an annual event that AASU hosts as a way of kicking off the school year in a fun, memorable way for the entire black community. The cookout took place on Curran Parking deck on September 4th. There was music, food (including vegetarian options! ), spades, the Wobble, and a general atmosphere of love and community. 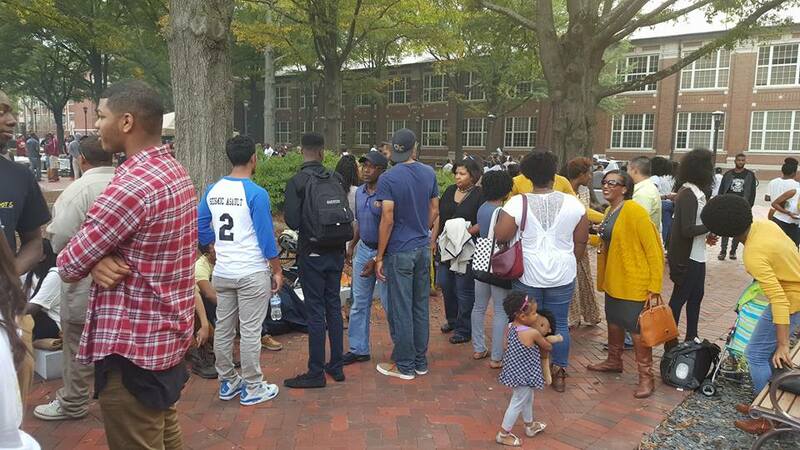 The cookout was the final event of BSO week, a collaborative effort between AASU and several of the other black student organizations. At approximately 6:45pm on Tuesday, August 11th, a fellow black Georgia Tech student was coming from work, walking to her car parked on Fowler Street. As she passed the Phi Delta Theta house, she noticed three men hanging out of the upper left most window watching her walk. She got in her car and drove back by the house to leave campus. She rolled down the window and heard the men yelling “F*** you n****r” and “F*** you a**h***” at her. On Thursday August 20th at 11am, a silent demonstration was staged across the street from the Phi Delta Theta house. It was intended to let the fraternity and the community know that we would not be silent on the issue, that in fact, we would be as public as possible in our pursuit of justice. The demonstration went extremely well. There was no violence, verbal or physical. No one entered or emerged from the Phi Delt house. Passersby asked questions and occasionally expressed support. Since then, the demonstration has been covered by campus, local, and national news outlets.